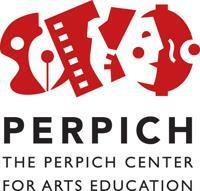 Big news for Perpich Arts High School: Funding is secure and a new Executive Director was hired June 21st. Curt Tryggestad comes to Perpich after five years as Superintendent of Eden Prairie schools. 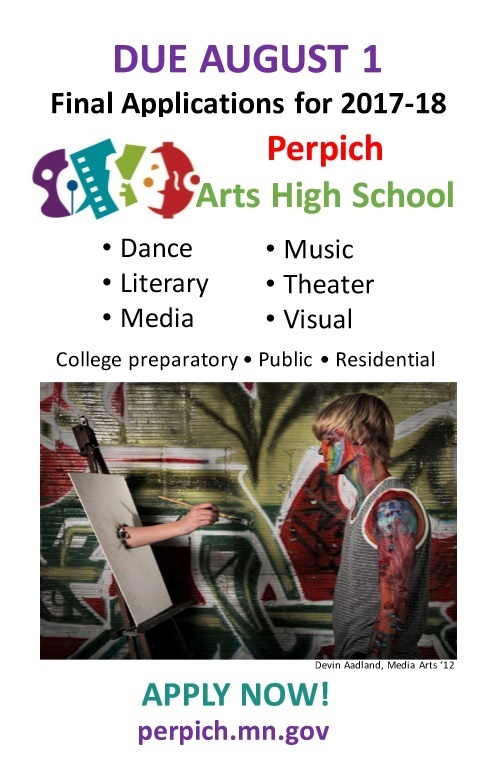 Also new is an August 1st deadline for applications into Perpich Arts High School for the upcoming 2017-18 academic year. Interested juniors and seniors can still apply to Perpich to start in the fall. They have opened another round of admissions after hearing from several folks that they didn’t apply because of not knowing the fate of the Perpich agency. No doubts any more, they are ready for more students and are excited to work with the artists from across the state of Minnesota!